Although the temperature has dropped, it is nothing compared to what we’ve endured this winter. And it’s effect on me is negligible. I know what today represents. Today is my final “serious” training run before the Around The Bay Road Race. Adopting the Hanson’s training method, I now enter my 10 day taper. Heading into this final stage of preparation, I have already run 1,262.16 kilometres (784.27 miles). All outdoors. Many of those kilometres in snow, ice, and temperatures well below -20C. That distance means that I have already completed the Around The Bay 30 km event over 40 times in the 11.5 weeks that mark 2015. In some of the harshest conditions imaginable. I am more ready for a race than I have ever been. The next 10 days will be all about staying fit, watching my diet, and sleeping well. Which could be a bit of a challenge. I’ve already been having some wickedly fitful dreams with the slight dip of weekly mileage last week. According to D, I recently spent the bulk of one particular night’s sleep crying out “Thank you!” and “Okay!”. Why? I was dreaming that I was racing. The crowds were cheering. And the race marshalls were pointing me in the right direction. In that dream I was in a pack of 4 runners when I made a break with only a few hundred metres left. With my arms flailing & my legs kicking, in that dream I held off those other 3 runners. In that dream I actually won the entire race. My friend Dave googled my distance. I need to run in Europe! You certainly need to come race in Europe. We have a couch that opens up to a double bed if you ever sign up for something on this side of the Atlantic one day! You have certainly trained hard this season so just show up and enjoy the race. All the best! How are you feeling post-marathon? OMG! 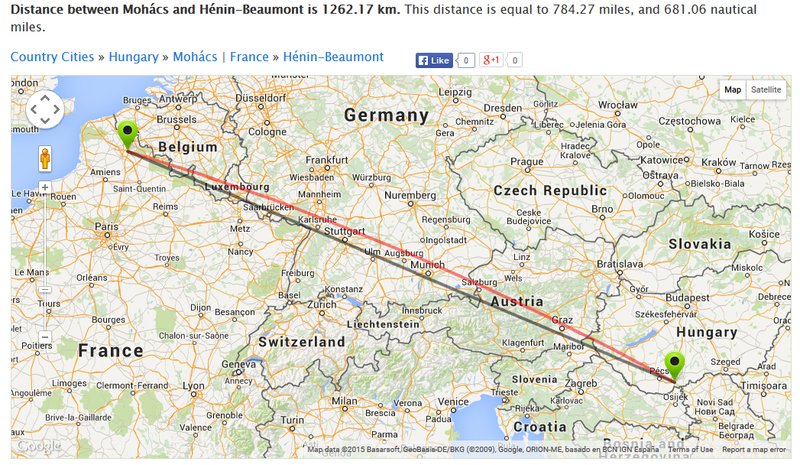 I just realized how close that trajectory is to Metz!!!! Awesome! Congrats! That first run or first couple of runs post -marathon are always tough, huh? Believe me, you’re not far off! Your long runs are already longer than my long runs! And truth be told, I created (and hence named) this blog after my very first Ultra — a 50km event. I have only been past the marathon distance one other time, for a charity run in honour of my father, that was 43.6 km’s if I recall correctly.